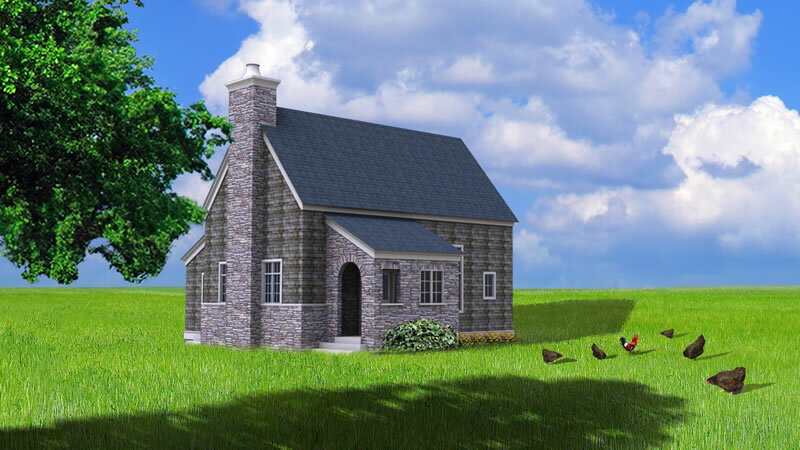 Cottage Plans Taken A Step Further With SIPs! Kits and Cabin Home Kits brought to you by Green Cottage Kits. This small footprint passive solar home features an open floorplan with a sleeping loft above. 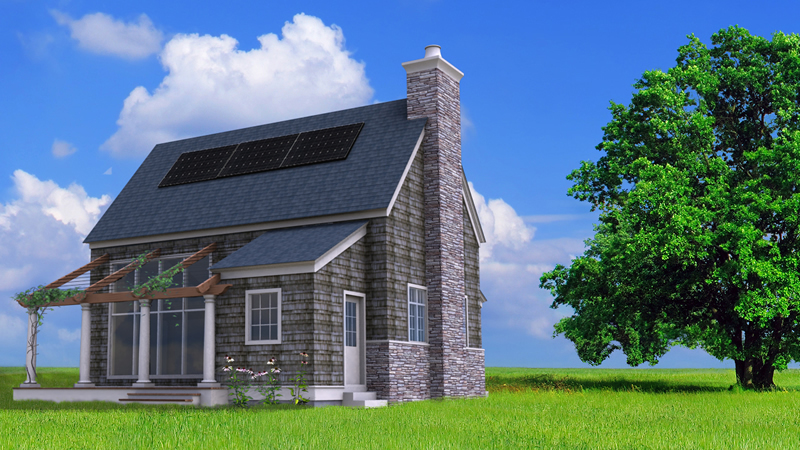 This passive house kit starts at $34,000. The factory closest to you geographically fabricates the kit, hence the slight variation on price. Kit includes energy efficient structural insulated panels and design documents. Click here to see the floorplan as a pdf. Cabin / cottage with sleeping loft. Like the kits on Green Modern Kits, our Green Cottage Kits are made with Structural Insulated Panels (SIPs) which are stronger than traditional stick built- you can learn more here: www.sips.org. Upon each order, panels take about three weeks to fabricate, then ship. Regarding R values, the R value for the 8 3/8” roof panels has an R-value of 29.3 when tested at 75 degrees F and a 31.6 when tested at 40 degrees F. The 6 5/8” wall panels have an R-value of 22.6 when tested at 75 degrees F and a 24.3 when tested at 40 degrees F. *If you need higher R values, we have thicker panels. Please contact us for details or to purchase a house kit. To see the floorplan with the optional traditional garage, click here.